Step in your boat and enjoy what most describe as “the most beautiful valley in Madrid’s National Park Sierra de Guadarrama”. At just an hour from the city center, the Lozoya [river] Valley hides an adventure waiting to be lived. 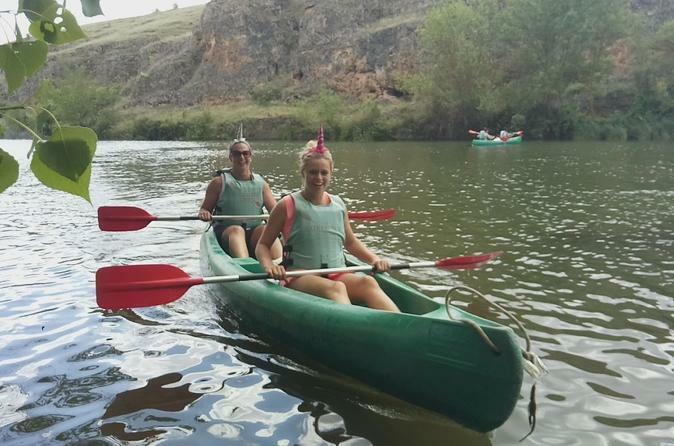 Canoeing on Lake Pinilla, situated in the middle of the Lozoya Valley, you will find yourself surrounded by nature, blessed with a unique point of view over a stunning and unknown mountain area. After a couple of hours of healthy exercise, a delicious and well-deserved lunch can be enjoyed. And before driving back to Madrid, a visit to the 14th-century monastery of “Santa María de El Paular” is a must, since it’s right there in Rascafría. Explore the Lozoya river valley, often described as the most beautiful valley of Madrid’s National Park Sierra de Guadarrama! Find yourself surrounded by nature, blessed with a view of a stunning mountain area! After a couple of hours of healthy exercise, a delicious and well-deserved lunch can be enjoyed, and if you wish a visit to the 14th century monastery of “Santa María de El Paular” is closeby! You name it… Usually can adapt to your needs, as long as we receive a time request -a minimum of 48 hours in advance.